Istanbul is one of the most popular destination for Mediterranean Cruise Ships. Mediterranean Tours start either from Italy or Istanbul. The third destination in between is Greece. Italy, Turkey and Greece possesses wide Greco-Roman heritage, therefore the journey provides a great deal of information about Ancient Age. The first station of the ships in Turkey is Kusadasi, which is located in the West Coast of Turkey. The highlight to see there is absolutely Ephesus Ancient City. Considered as the most valuable Greco-Roman heritage in Asia Minor. Currently the Istanbul Cruise Terminal is closed for restoration. The site is a vast construction area, building up the new Istanbul Cruise Ship Terminal Galataport. The cruises operates between Turkey and Italy usually arrive to the Istanbul Cruise Terminal in the early morning. You may see guides, busses and tour companies waiting for their guests. Where is Istanbul Cruise Terminal Located? When guides find their clients, they leave the pier with bus or public transport. 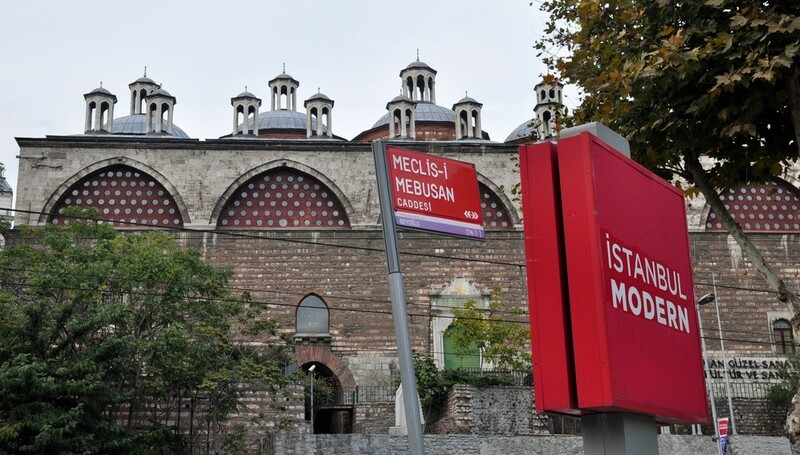 Once you leave the Istanbul Cruise Terminal, you start driving on the Meclis-i Mebusan Street. Since Istanbul’s traffic is always busy, it might take some time to arrive Istanbul Old City or Taksim Square etc. How to get from Istanbul Cruise Terminal to Sultanahmet or Taksim? If you have no reservation for a private guided tour. You need to use the Taxi or Public Transport. 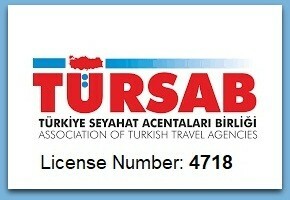 I recommend you to read Istanbul Taxi Scams article before you catch any yellow taxi in Istanbul. 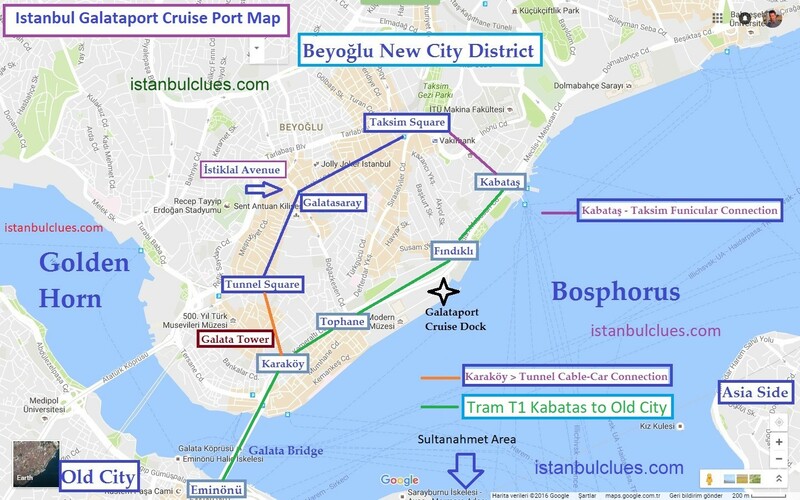 To get from Istanbul Cruise Ship Terminal Galataport to Sultanahmet or Taksim, you may check the map below. Also how to get from Sultanahmet to Taksim by tram article might help you study the route. The tram, funicular, metro and ferry are considered as the main public transport vehicles in Istanbul. To be familier with these public transport tools, I would recommend you how to use Istanbul public transport article. You may find the major places to see nearby Istanbul Cruise Terminal marked on this map. The tram is the major public transport vehicle to commute between the Old City and Modern Istanbul. It basically operates between to terminal stops: Kabatas – Bagcilar. The nearest TRAM STOP to Istanbul Cruise Ship Terminal Galataport is Findikli Tram Station. The rules are pretty basic. If you would like to go Modern Istanbul (Taksim Square, Besiktas, Ortakoy, Bebek) you need to take the tram in the direction of KABATAS. If you would like to see the Istanbul Historical Peninsula (Spice Bazaar, Hagia Sophia, Blue Mosque, Grand Bazaar etc.) you need to take the tram in the direction of BAGCILAR. The article below (Istanbul Tram Map T1 Line) explains the entire route of Tram, which will be your best friend during your Istanbul visit. T1 Tram Line alongside with the Funicular, Ferry, Metro connections cover the entire touristic area of Istanbul. Tram T1 Line covers most of the tourtic area. There are some attractions in the walking distance as well. If you walk in the direction of Galata Tower. You may see the entrance of Modern Art Museum a few minutes later. Then you see Nusretiye Mosque 19th century Baroque style mosque of Istanbul. Built by Balyan family. Renowned Armenian architects of Ottoman Istanbul. 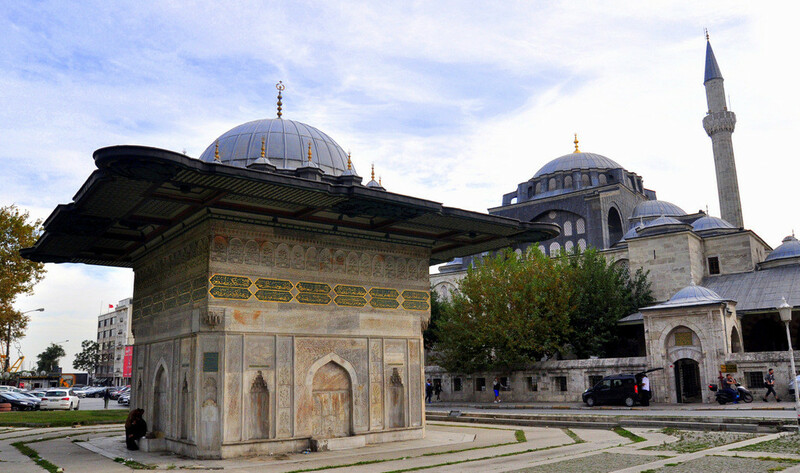 Next thing to see is Kilic Ali Pasha Mosque and its Turkish Bath (1580) This particular bath is one of the best in Istanbul. Tophane tram stop is also placed right next to the mosque. You may reach to Galata Bridge by walking. This place is the iconic connection bridge between the Modern Istanbul and Old City (which was once known as Constantinople) There are lots of fish restaurants under the bridge. You may try the fish&bread cheap but delicious sandwiches. 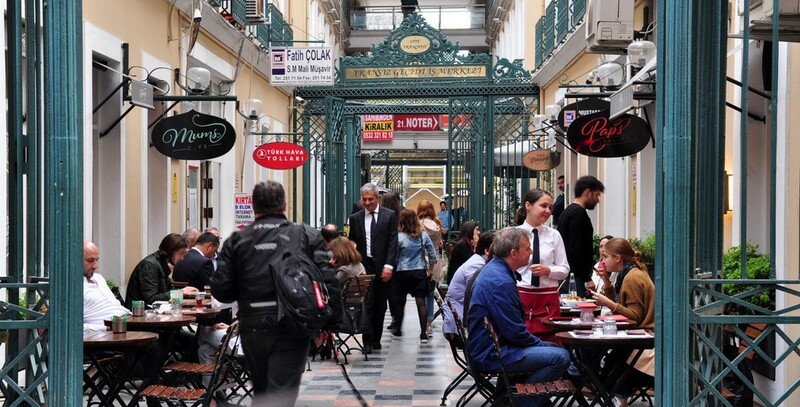 Where To Eat Nearby Istanbul Cruise Ship Terminal Galataport? 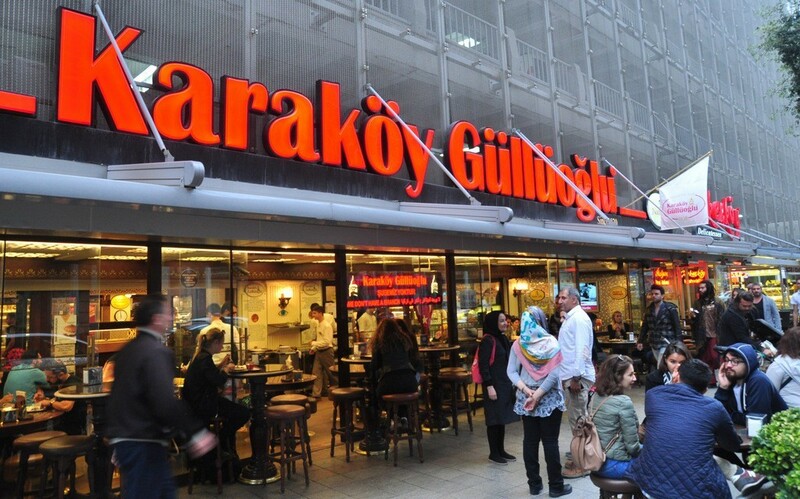 The most popular baklava shop of the city, Karakoy Gulluoglu, is located at KARAKOY side of the Galata Bridge. You may try any kind of traditional Turkish Desserts in this popular place. Where To Go near Istanbul Galataport Cruise Ship Terminal? Where To Eat Local Food Nearby Istanbul Cruise Port? One side of Galata Bride is KARAKOY. The hub of Istanbul Modern City, connected to Galata Bridge, Istiklal Street, Taksim Square areas. Whereas the other side of the bridge is called EMINONU, which is the transportation hub of Istanbul Old City. You may reach out to Spice Bazaar, Bosphorus Turyol Boats, Grand Bazaar, Hagia Sophia and Blue Mosque from the Eminonu. The Mediterranean Cruise Ships, stop at Kusadasi (Ephesus) and Istanbul cruise ports. These are the some of the major places to see in Turkey. However there is also Cappadocia as the third part of the Golden Triangle of Turkey. Altough there are numerous other places to see; Istanbul, Ephesus, Cappadocia triangle is considered as the best travel destinations if you have only one week to spend in Turkey. 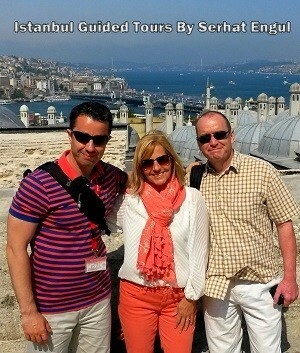 In order to learn more about Turkey’s Golden Triangle, I recommend you Private Guided Tours of Istanbul Turkey website. This useful travel blog gives you an overview about best things to do in Cappadocia. Make sure that you have Cappadocia in your list during your Turkey trip. Summary of the Blog Article related to Istanbul Galataport Cruise Terminal. Istanbul’s new cruise ship dock is named as Galataport. The new Cruise Dock is located at Salipazari Pier at Istanbul, Turkey. Things to do, places to go-visit near Istanbul Cruise Port (Galataport) . 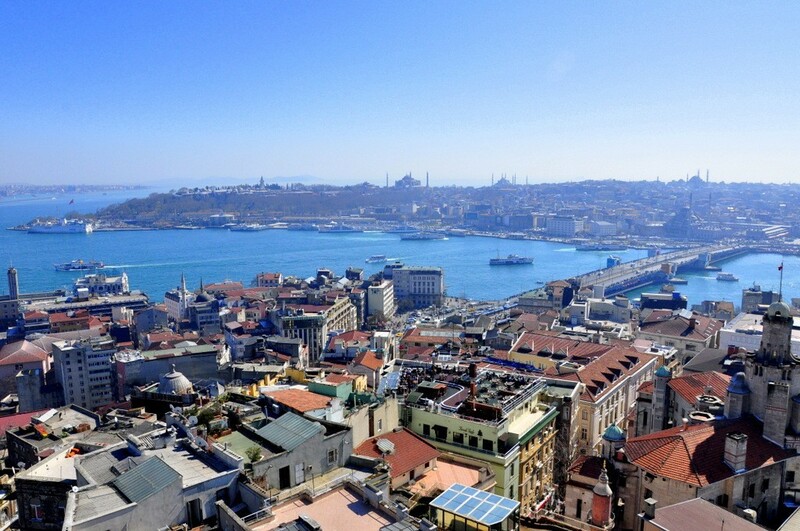 Best restaurants, coffee shops, bars and budget hotels nearby Istanbul Cruise Port. You may find the answers to these questions in our Istanbul Cruise Ship Port “How To Do-Go” Guide. How to get to Old City (Sultanahmet) from Istanbul Galataport Cruise Terminal? 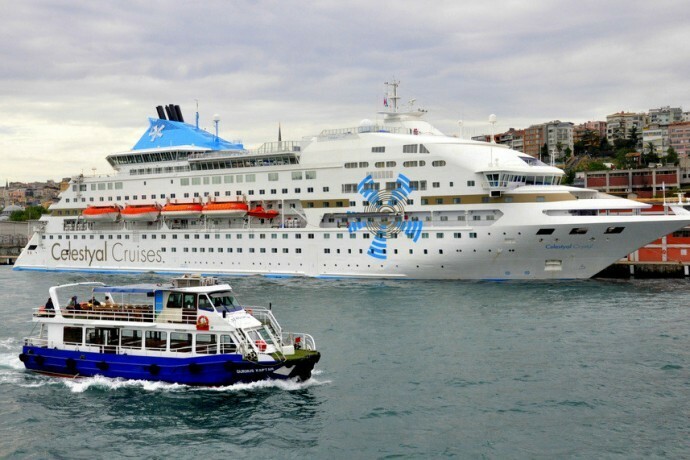 How to get to Taksim Square from Istanbul Galataport Cruise Ship Terminal? How to get to Galata Tower and Karakoy from Istanbul Cruise Port? How to get to Istanbul International Airport from Istanbul Cruise Port?